This is the summary of consumer reviews for Graco - LiteRider Stroller. The BoolPool rating for this product is Excellent, with 4.50 stars, and the price range is $50-$85. Graco - LiteRider Stroller boasts a lightweight design and one-hand fold feature providing ultra mobility and convenient portability. 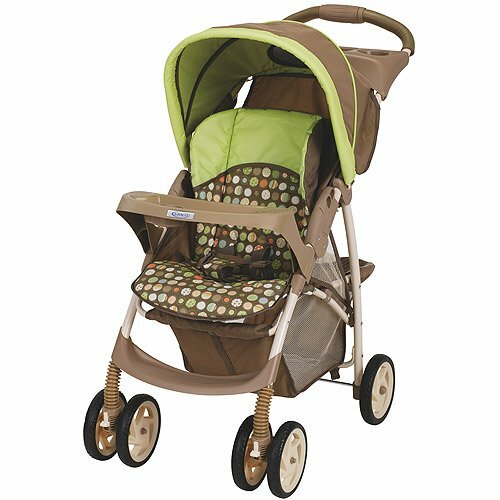 This LiteRider has a padded, 2-level reclining seat, lockable front swivel wheel and a durable suspension ensuring a comfortable ride for your little travel companion. It accepts the top rated Graco Infant Car Seats, which comes in handy when you want to move baby from the car to the house without disturbing him. This Graco stroller has a nice fabric and comes in many different cute prints like Zooland, Pasadena and Lively Dots. It also has a convenient child and parent tray. There is an easily accessible, extra large storage basket underneath to store diapers bags, milk bottles and shopping bags etc. The most common complaint is about the child tray hitting the ground when the stroller is folded. The child tray is not hinged and falls off. Also parents do not like that seat does not recline fully as it makes hard for kids to take nap and for parents to change diapers. Overall, Graco - LiteRider Stroller is specifically designed for the active family. It is a lightweight stroller that weighs less than 20 pounds and rolls easily. It is a great value for price and gets good rating from users. 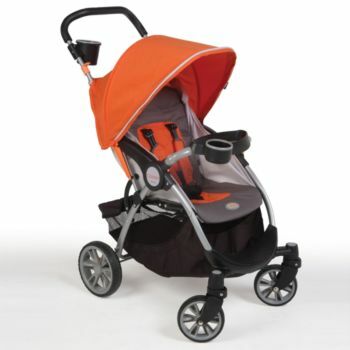 Child tray and parent tray make the Lite Rider a huge improvement over an umbrella stroller. Fold is a little goofy, the tray does hit the ground. it folds up, the child tray bangs on the ground quite forcefully. 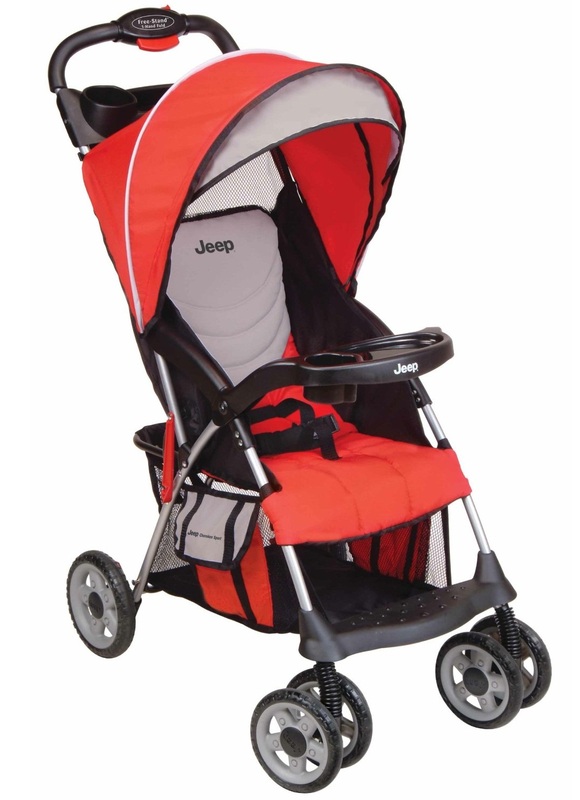 It's as compact as an umbrella stroller, with the amenities of a very nice stroller, with the cargo basket, sun shade, recline position, parent tray with two cupholders, and removeable child's tray with cupholder. My son loves his snack tray and the cup holders on the parent tray are deep enough for my needs. The one hand folding works, but as previously commented by other users, the snack tray will hit the ground pretty hard. Thanks to those of you who wrote about the child tray hitting the ground when folding, I knew to catch the tray before it hit the floor and it still looks great. The tray hits the ground very hard. The child's tray doesn't hinge so if you've a squirmy baby, it's not that easy to put them in or take them out of the seat since you'd have to wriggle them in behind the tray or remove tray, put in/take out baby, then replace tray. The seat holds the graco snugride car seat. Some come in sets, but I bought the stroller and infant car seat separately because I could buy a seat for a 30-lb. We bought this stroller together with a car seat. This stroller is convenient because the car seat attaches right on the child's tray, so for your younger infant there's no need to take the baby in and out of the car seat. I bought this stroller to go with the matching car seat. 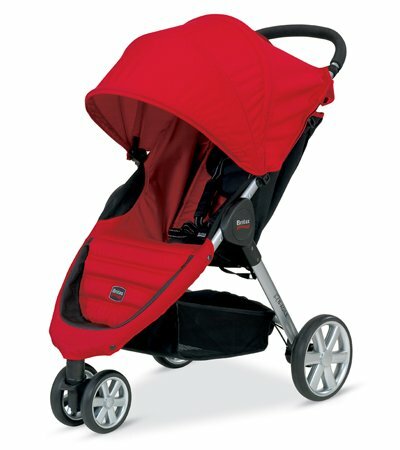 This stroller is light, attractive, sturdy, is a great value, and works great with the infant car seat. The car seat goes into and comes out very easily. We also light the light weight. Light wight and easy to travel with! light and great for the price. The product is light and easy to carry. It was so light weight and easy to manuver, lots of storage space and cup space. It's light enough to push around and easy to maneuver. But other than that, it's light and easy to maneuver. 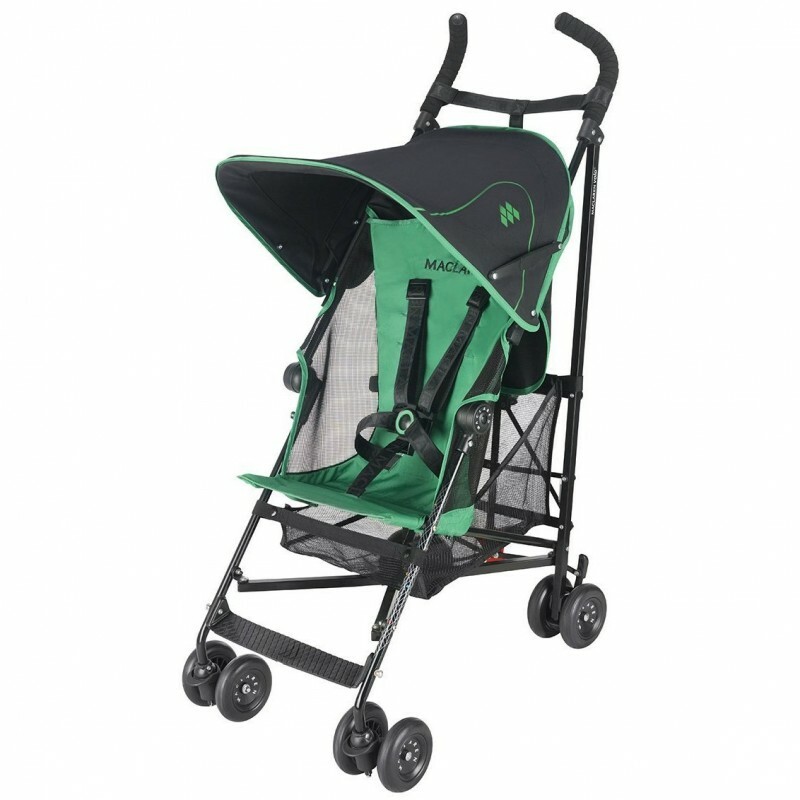 The stroller is very light weight and is easy to fold up and open again. It's easy to fold up and it's very light and easy to put in the car and out. Very easy to collapse and open. It's so easy to fold and open yet has a very big storage compartment on the bottom that can be used to store small hand luggage, diaper bags, etc. Here's what I think of it:. 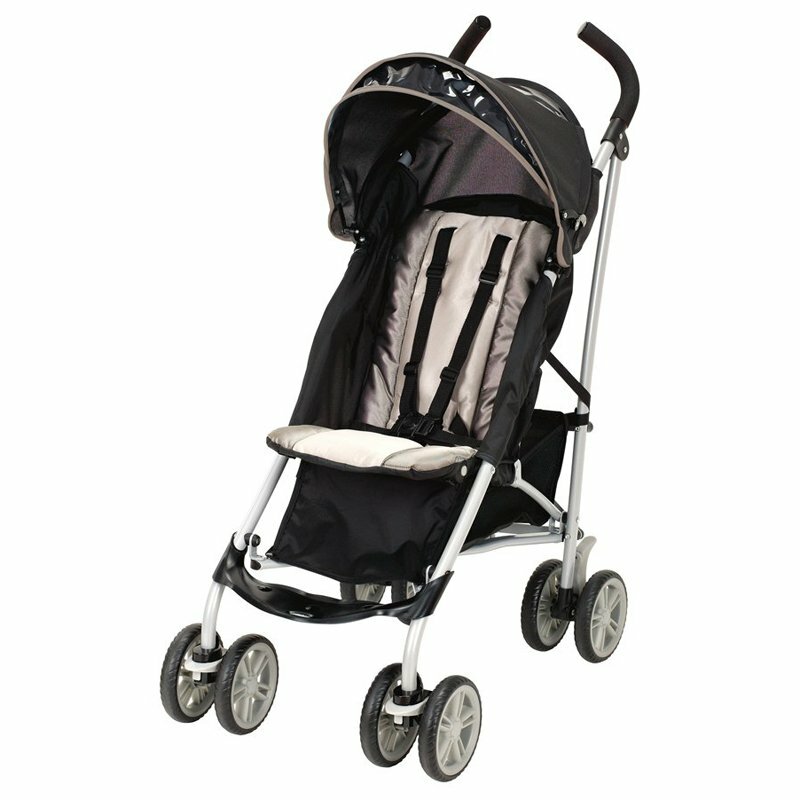 The stroller is lightweight and easy to use which is always a plus. I wanted a lightweight, no thrills stroller that'd be easy to use and I found it. It folds and unfolds easily enough. It was affordable, it was easy to put together, it's lightweight (duh, haha) and goes perfectly with my Graco infant seat. This stroller is easy to move and navigate. It's lightweight and a great price. exactly as shown, , best price online. 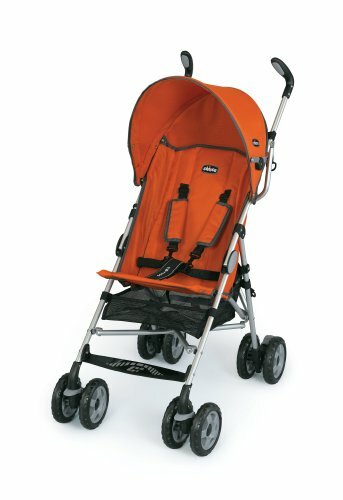 I bought this stroller after a lot of research and found it to be one of the cheapest model..The price is quite Ok. If you're budget conscious and are looking for a stroller in this price range, this product wont disappoint you. every one want to buy in lower price. 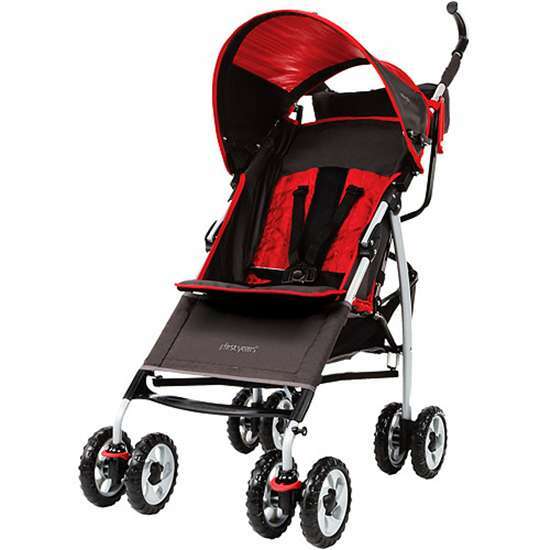 This's very good stroller for the price, durable. For the price, this's a great stroller. 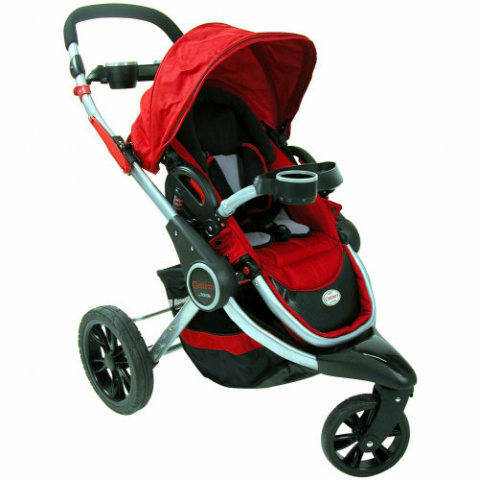 Very good stroller with a very reasonable price. I love the one-handed folding feature. Light weight and folds up nicely. I love the way it folds up. I can easily assemble and fold it with one hand, which is a huge plus in my book. It folds very easily and is very light. THE ONE HAND HANDLE TO FOLD UP THE STROLLER IS GREAT. I love the extra large basket underneath and the cup holders on top to hold my cups as well. Light, compact design, great pattern. The carriage in general is really very good: rolls nicely, easy to open and collapse, storage space on bottom, nice looking. Nice fabric too, and really big basket at the bottom. It was easy to assemble with good instructions (really just putting the wheels and trays on). Only issue with this stroller; the back of the seat doesn't lay completely flat so isn't easy to change a diaper. It's very easy to fold, but every time you fold it you must bend down to recline the seat then follow the simple steps to twist and fold down. Bottom bag is really big and can hold diaper bag + many store purchase items when we use for shopping (PLUS). My evenflo car seat fits easily and securely on to the stroller. Very easy to fold and unfold.